Neat find and shot. You can't keep Mother Nature down for long. Great point of view that you captured this from -- love the colors too! Great perspective, light and color!!! 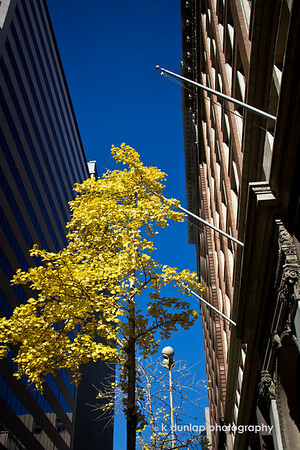 Love the perspective and that bright yellow!